Instant noodles wear many hats. They are the International Food of the Student. They are a survival mechanism when saving for a festival ticket or a new pair of sneakers. They are midnight snacks for chefs across the globe and, in dry form, they're an after-school treat for legions of primary school kids who can't boil water. They've copped a bit of flack this week for, ah, not being very good for you. For having more salt than two Big Macs or eight packets of Smiths salted potato chips in fact. The sodium and saturated fat levels in instant noodles are certainly huge, which is kind of why they taste so great. 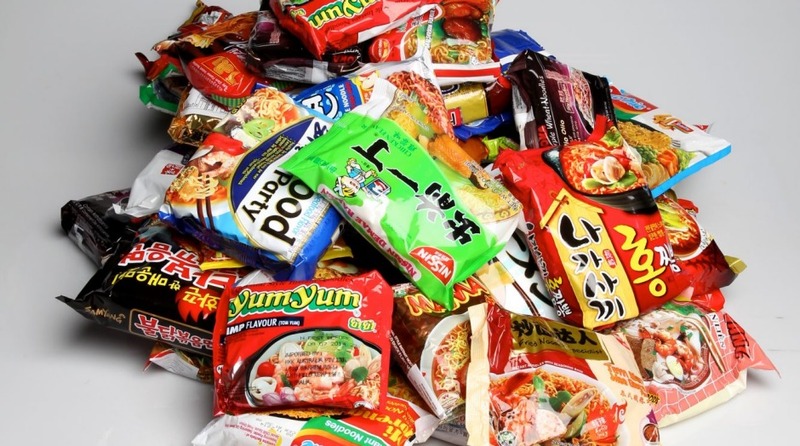 It's unlikely noodle fans will quit eating them, so here are a few tips from the time we asked top chefs how they rock their instant ramen. You can at least turn your moment of salty guilt into a substantial meal with a few extra vitamins. "I always have an egg with Mi Goreng," Hong says. 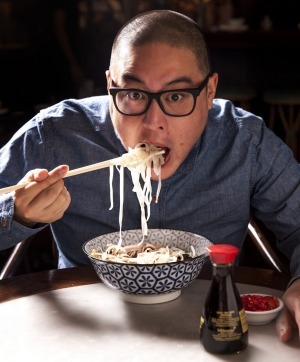 "My wife likes to fry up Barossa Fine Foods ox tongue with her noodles." Hong adds that his sous chef once purchased a $50 David Blackmore wagyu steak and plated it with some instant noodles. The result was "pretty gangster", he says. You can also try his two-minute noodle hack for "seriously the best thing you'd ever eat". 1. Nong Shim brand Kimchi Bowl - legitimately tastes like kimchi with little dried bits of the stuff that rehydrate when water's added. 2. Mama brand Tom Yum Flavour - lots of quality Mama flavours but Tom Yum trumps. 3. Indomie brand Mi Goreng, original flavour - needs no introduction. 1. Source either Noodle King Supreme Crab Flavour or Nong Shim Spicy Ramyun. 2. Add cuttlefish balls or tofu fish cubes to some water and bring to the boil. Add noodles and cook to desired softness. 3. Add one tablespoon of Lee Kum Kee XO sauce, two teaspoons of Lau Gan Ma Spicy Chilli Crisp sauce and top with anything green kicking about (nori sheets, spring onion, coriander, etc). "Best after a few negronis," Liong says. Hear, hear. Always use "a couple of spoonfuls of XO chilli sauce with some chopped peanuts and fried shallots to give it a bit of texture," Wilson says. "Fresh herbs such as Thai basil and coriander, too." The Huxtaburger maestro also recommends adding chopped Koh-Kae peanuts, a Thai peanut snack sold in jars depicting a nerdy karate dude brandishing a picket sign. "You can get tom yum flavoured ones that are quite spicy and have a delicious crispy coconut coating on them," he says. Ingham isn't a fan of the seasoning packets that come with instant noodles. "I love to cook them in the chicken or beef stock we make at Bar H instead," he says. To jazz the noodles up, Ingham adds some barbecue pork, first marinating the pork in a mixture of garlic, ginger, tamari, hoisin and honey. "The kids help out and we grill the pork on Japanese binchotan charcoal and add it to the noodles for a protein kick."